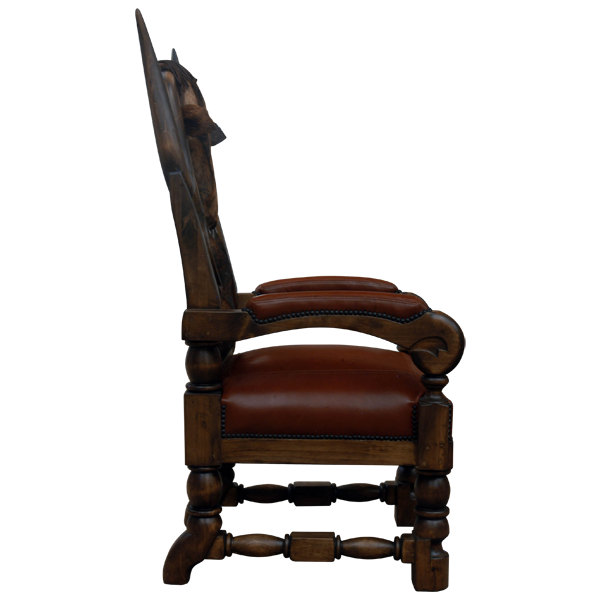 The exquisite, hand carving for this Western style, handcrafted chair is performed by our skilled craftsmen using techniques that have been passed down from generation to generation. 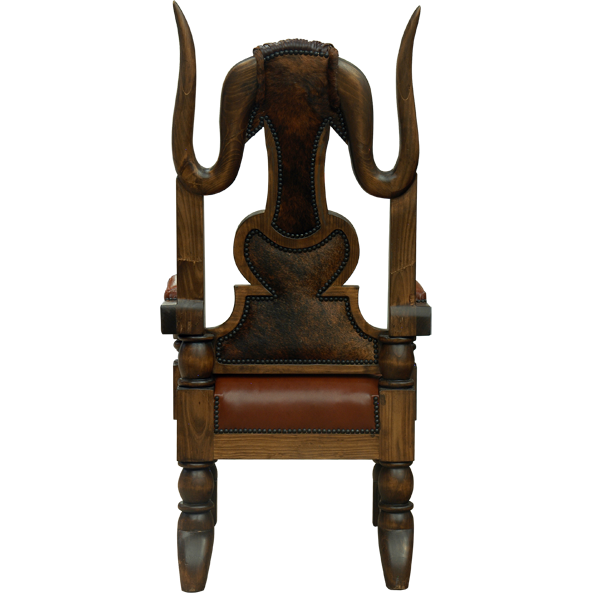 The solid wood, inside seat back of this handcrafted chair is intricately, hand carved with a large representation of a long horn steer head. 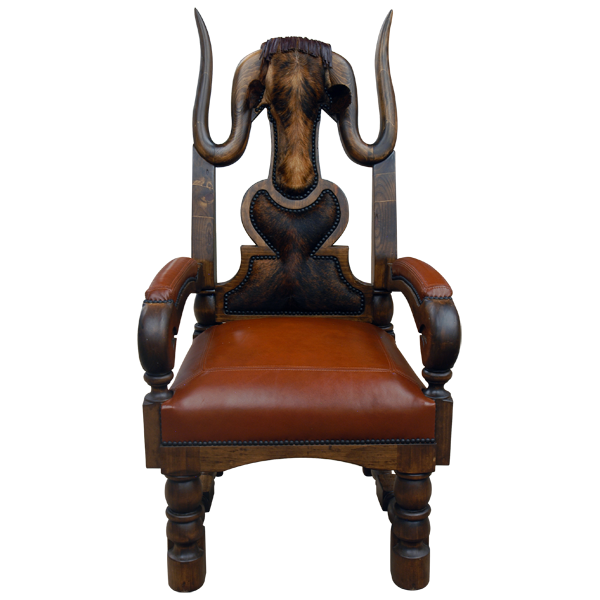 The head of the steer and the lower part of the carved inside seat back are upholstered with patterned, real cowhide. The padded seat and the top of the armrest are upholstered with rich, brown full grain leather. 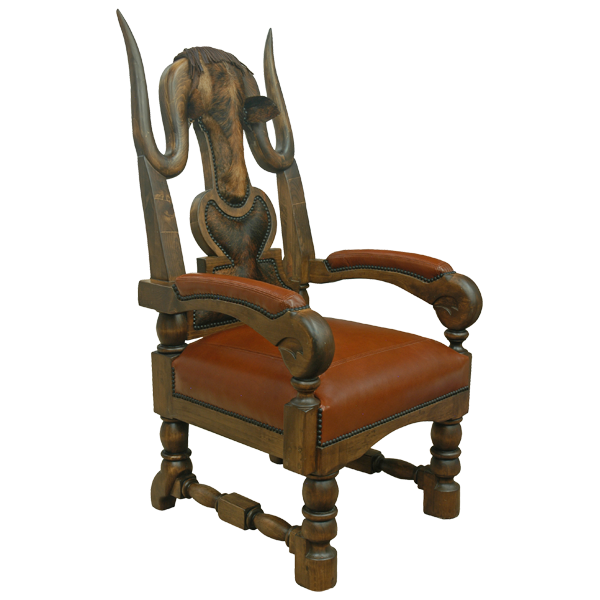 The armrest are curved and end in hand carved, scroll designs. The chair is supported by straight, hand turned legs, and the front legs end in block style feet. The legs are joined by hand turned crossbars on each side of the chair. The chair is made with the best, sustainable, wood available, and it is 100% customizable.